Today after your early morning breakfast, at 7.30 am, you will be transferred to the park’s headquarters with your packed lunch in Office of Tourism in Kinigi where you are briefed by the ranger about the rules and regulations governing golden monkey tracking before you head off to the jungle in search for these shy lovely primates. The golden monkey trek can last from an hour to six hours just like gorilla trekking, however not much hectic as the gorilla trekking, though the trek is strenuous but much rewarding at the end. You will be given an hour with the golden monkey to take as many pictures of your choice and later return from your trek, head for lunch in one of the local restaurants, before hitting on the road to find our way back to Kigali and dropped at your hotel or at the Kigali airport to catch up with your evening flight. Meal Plan: B – L. End of service! 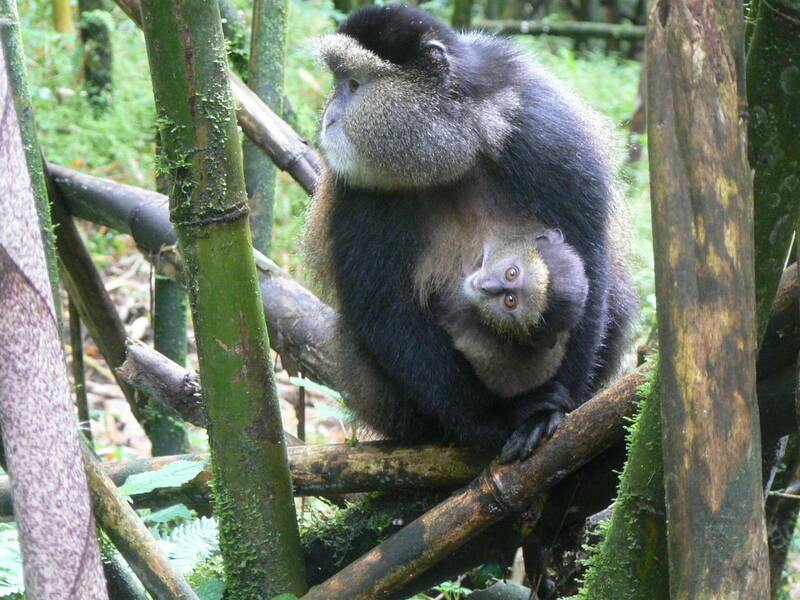 This 2 Days Golden Monkey Trekking Safari in Rwanda package includes. The 2 Days Golden Monkey Trekking Safari in Rwanda package excludes expenses of personal nature like: Air fare, Visa, drinks, laundry, tips to local guides, telephone, porter fee while trekking, personal insurance, personal shopping bills and cigars.